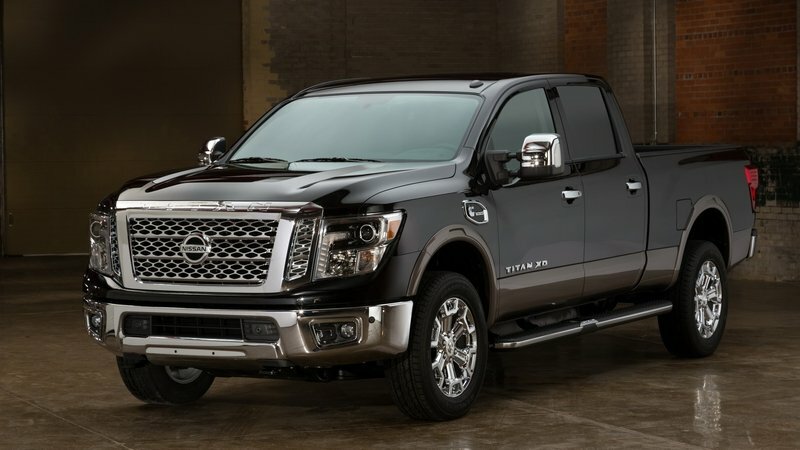 After 12 years, Nissan finally introduced a second-generation Titan pickup truck. But more than that, Nissan introduced a “right sized” model that split the difference between a half-ton and three-quarter ton. Called the Titan XD, the truck debuted for the 2016 model year and features lustworthy components like a 5.0-liter Cummins turbodiesel, a modern cabin, and an integrated gooseneck hitch into the cargo bed. The truck comes in Single, King, and Crew Cabs with three corresponding bed lengths. 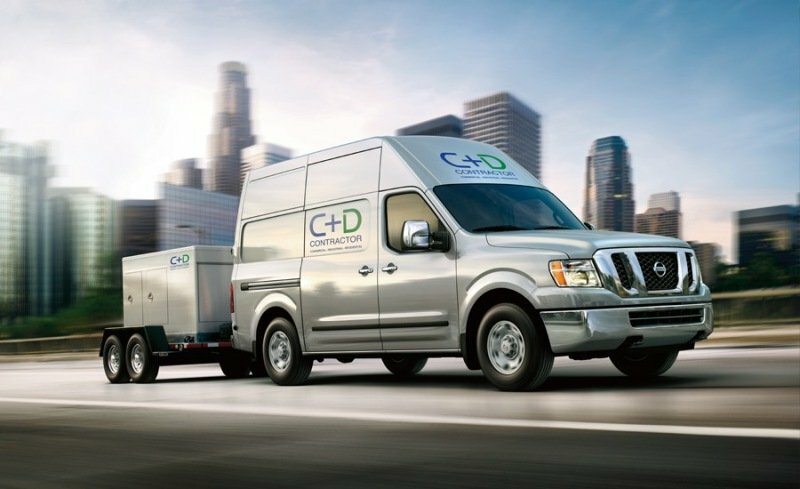 Nissan’s strategy is undercutting the competition’s three-quarter ton trucks on price, while providing more payload and towing capacity than a half-ton pickup. While not common, this strategy has been tried before. Chevrolet offered a Silverado 1500 HD in the early 2000s, but canceled the model due to slow sales. Nissan is well aware of this and is attacking the heavy duty market from both sides – both the high-end consumer trucks with every whiz-bang feature and the fleet segment with base model, single cab pickups built for work. Regardless of trim, the Nissan Titan XD is certainly capable of work. A high-strength frame supports the all-new body and the highly anticipated 5.0-liter Cummins V-8 turbodiesel. A heavily updated 5.6-liter gasoline V-8 comes standard. Properly equipped, the Titan XD can haul 2,920 pounds in the bed and tow 12,640 pounds via its gooseneck hitch. What’s more, Nissan’s specs are SAE J2807 compliant, meaning they are indeed true. Update 06/20/2017: Nissan has released pricing for its late-released King Cab configuration. Check out the Prices section for the full breakdown of each Titan XD configuration. Click past the jump to read more about the 2016 Nissan Titan XD. Nissan has just dropped a comprehensive list of updates and changes happening to its 2016 vehicle lineup, including its trucks, body-on-frame SUVs, and utility vans. Most concerning is the news the venerable Xterra will not live past the 2015 model year. Yep, after 15 years on the market and more than 750,000 examples sold, the rugged, two-row SUV is headed out to pasture. Thankfully that’s the saddest news on Nissan’s truck front. Leading the polar opposite express is the introduction of the 2016 Nissan Titan XD – the three-quarter ton truck that is supposed to drive like a half-ton but pull like a one-ton. Fans of the truck already know the big news is under the Titan XD’s hood. That’s because a Cummins V-8 turbodiesel is cradled between the fully boxed frame rails and kicks out an impressive 555 pound-feet of torque. Nissan also hints at the Titan’s other optional powertrain, saying three engines will be offered. 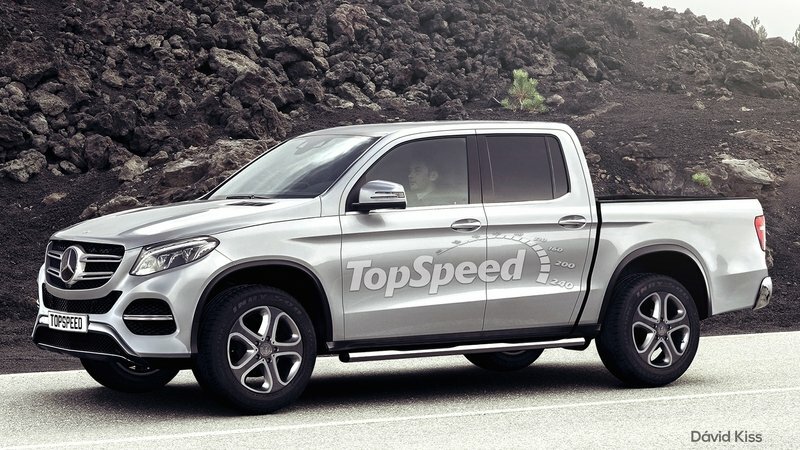 My guess is an updated version of the 5.6-liter V-8 currently found in the truck, along with a V-6 – possibly turbocharged – for the base level truck. Also related to the Titan, Nissan says it will release more information on the three-row Nissan Armada at a later date. The Frontier, Nissan’s aging midsized truck offering, is getting very minor update that include new colors and greater moonroof availability in lesser trim levels. Nissan’s workhorses, the NV and NV200 vans, also get very minor updates that include paint colors, now-standard side-impact air bags, and greater availability of the SL Technology package. 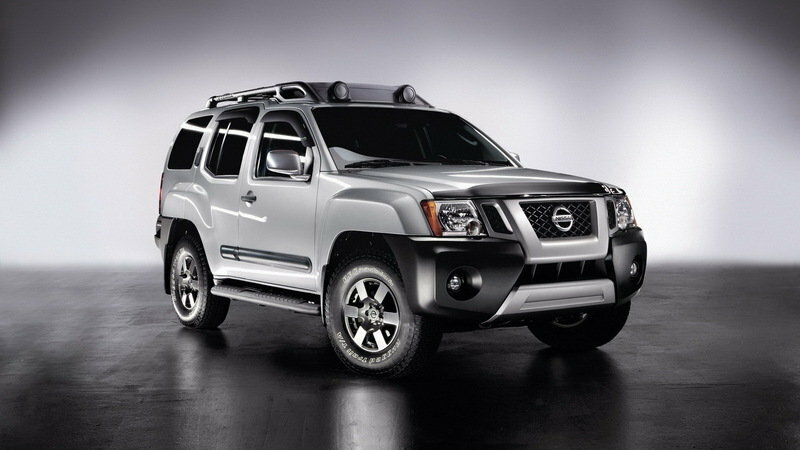 The Nissan Frontier started its life back in 1997 when it came as a replacement for the old D21 Nissan Hardbody Truck. 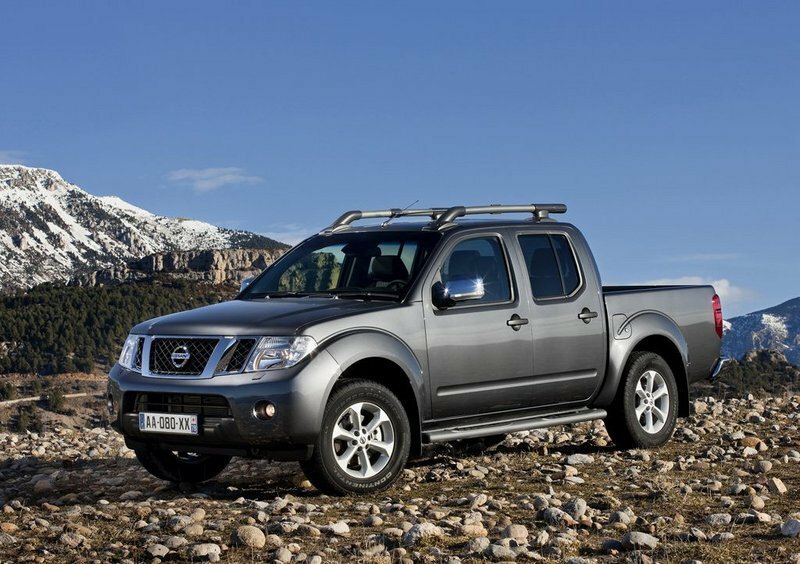 The first generation of the Frontier (also known as the Navara) was designed as a small pickup truck which doesn’t offer the same towing abilities as a full sized pickup, but it comes with a better fuel consumption and a high level of versatility. While the new generation Frontier can be considered a medium sized pickup, the 1997 model came with smaller dimensions and weaker engines being considered part of the small class of pickups. 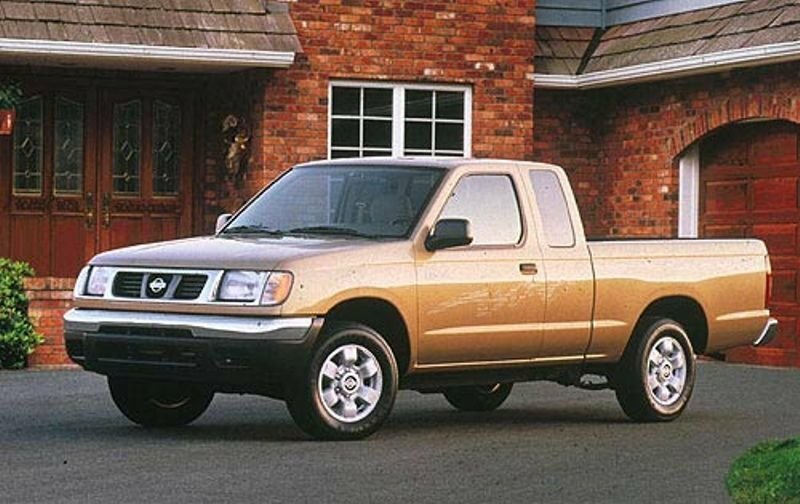 The first generation Nissan Frontier wasn’t as muscular as the current model, but it was still a solid choice if you were seeking for a trustful and versatile working vehicle. The 1997 Frontier was offered with various engines option and body styles included regular and Extended cabs. 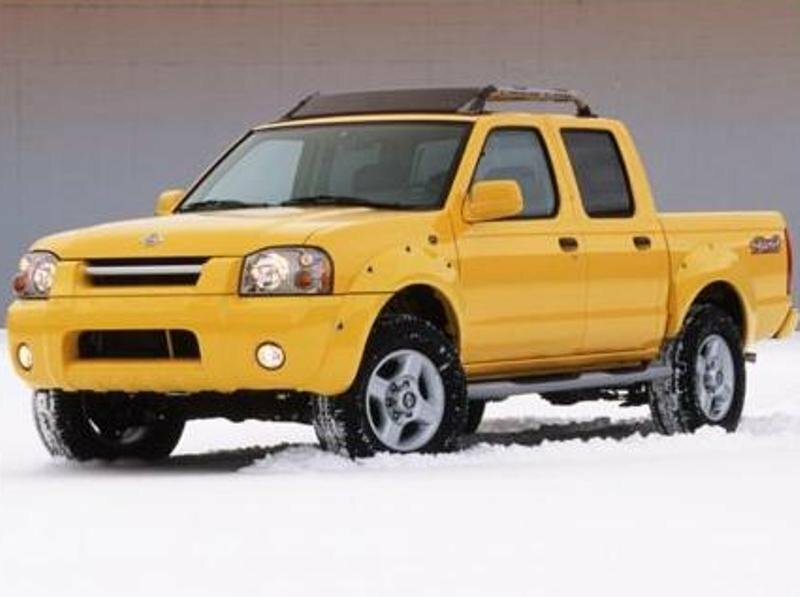 In 2000 there was also introduced a double cab version that was a worldwide premiere for a compact pickup. Nissan is among the first companies who started to build pickups and ever since the beginnings its models were highly appreciated. The Frontier is along for some time now and its capable performances and the famous Japanese reliability have always helped it stay in front of the pack. The vehicle benefited from a significant upgrade in 2001 when it received a modern exterior style and a supercharged V6. The vehicle was available in Desert Runner, King Cab and Crew Cab configurations and was offered with both 4x2 and 4x4 drives. The new Nissan NV400 is a highly versatile vehicle and it’s available in a wide range of configurations. While until now the company didn’t revealed too many details about its range of factory build NV400 conversions, now it has finally decided to break the silence. 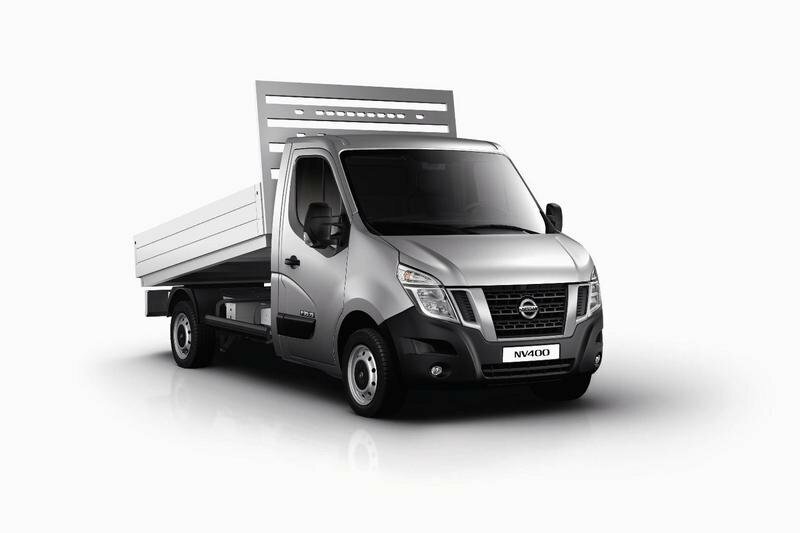 The new Nissan NV400 is now available in six and nine seat minibuses, crew vans and both single and double cab dropside and tipper conversions. Apart from the models listed above the new Nissan NV400 will be also available as a box van, Luton and refrigerated van, plus a 14-17 seat minibus. Firstly, the NV400 chassis cab is offered in a total of 13 versions with mid or long wheel bases and single or twin rear wheel drive. The NV400 chassis cab is powered by the 2.5 dCi diesel engine which is available in two power outputs – 125 hp and 150 hp. 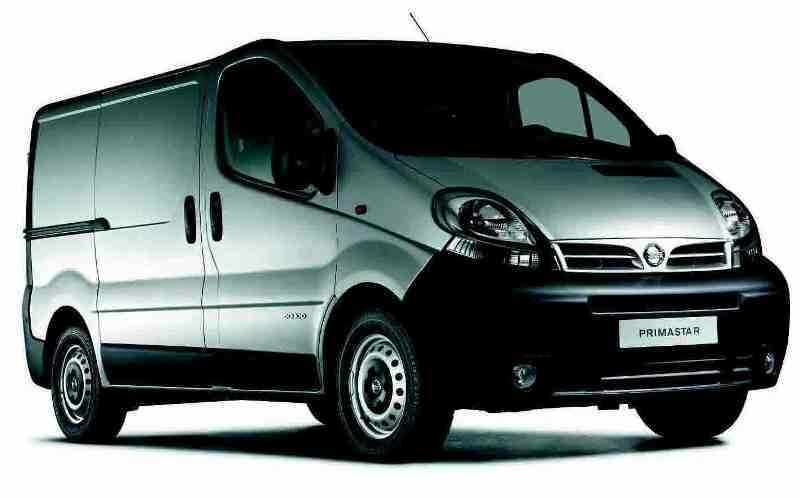 The NV400 minibus offers space for up to nine people but it’s also available with a six seats configuration. This version has a starting price of £26,575 and comes with a choice of two engines with 100 hp and 125 hp on tap. Appealing to those seeking for crew transportations, the crew van comes with seven seats and a generous load area. For this version you’ll have to pay not less than £25,565 and you can choose from numerous payloads of up to 1398 kg and both front or rear wheel drive configurations. There is also a dropside model on offer, with a starting price of £23,365 for the single cab and £25,765 for the double cab. 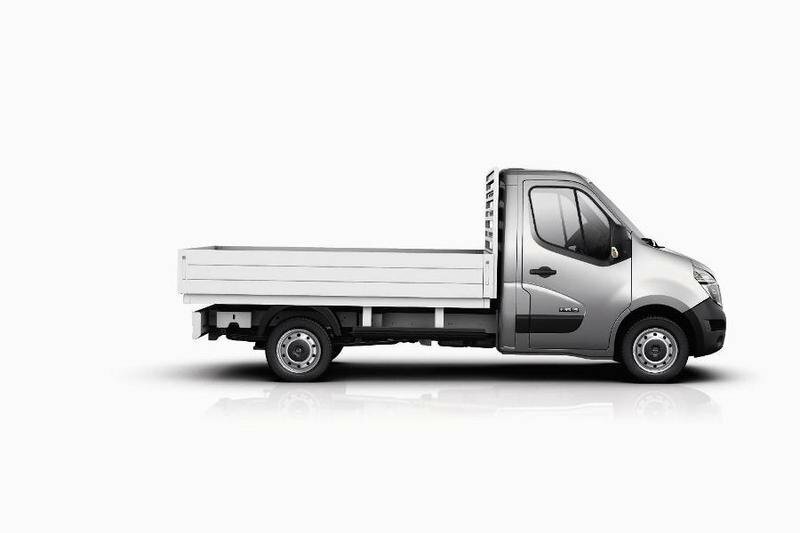 The Nissan NV400 dropside is offered with a choice of either single three seat or a double seven seat cab, front or rear wheel drive and a range of payloads up to 1,462kg. For those looking for a reliable construction partner designed to go head to head with arduous working conditions without backing down, Nissan offers its NV400 tipper. The tipper’s load deck tilts automatically at 45 degree for easy unloading and comes with a wide range of payloads of up to 1,227kg. This model is offered in two versions with prices starting from £24,765 for the single cab and £27,165 for the double cab. The Nissan NP 200 is a Light Commercial Vehicle (LCV) designed for the emergent markets and is built in South Africa at Nissan’s Rosslyn plant, north of Pretoria. The vehicle was designed for light duty commercial purposes and competes against models like the Peugeot Hoggar and Fiat Strada. The Nissan NP 200 comes as a replacement for the old 1400 model and it’s powered by a highly efficient 1.6 liter engine which delivers a maximum output of 85 hp and 128 Nm of torque. Thanks to its torquey engine, the vehicle has a maximum load capacity of 800 kg. 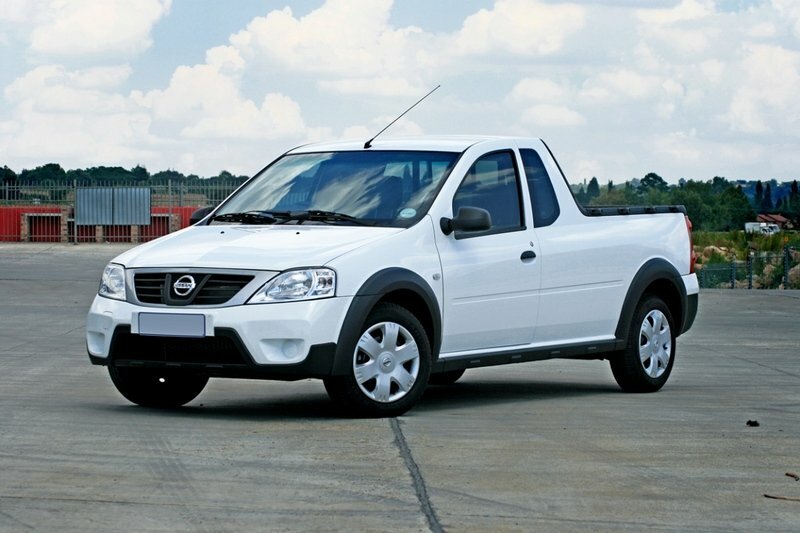 The Nissan NP 200 is offered with a class-leading warranty of 6 years or 150 000km. In commercial vehicle terms, Nissan didn’t manage to get too much attention from the market. Their LCVs had been popular, but it will be too much to say that they’ve put the sales charts on fire. But while in Europe the company has started to receive a better response thanks to its wide lineup of commercial models, in America Nissan still finds it hard to convince it’s buyers about the value of their products. The Nissan NV Cargo was designed especially for the US market and it’s a highly versatile commercial vehicle available in three versions namely the NV1500, NV2500 HD and NV3500 HD. There are also two height configurations and the vehicle has a storage capacity between 234.1 - 323.1 cubic feet. The Nissan NV Cargo has a competitive price which starts at $ 25.050 and it’s offered with a choice of two engines including V6 and a V8 units. Nissan’s lineup of commercial vehicles is among the largest you’ll find around, but despite this fact the company didn’t manage to catch too much attention from the buyers. 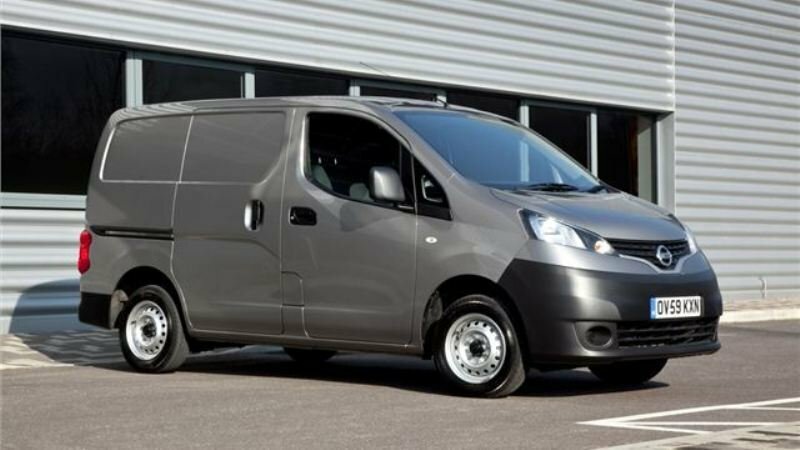 The Nissan NV200 however, was received with better eyes by the market mostly because it has the biggest load area in its class and a good reliability. The vehicle also comes with a spacious and comfortable interior and features a modern and attractive design. Thanks to its relatively small dimensions, it’s also easy to be driven around town and it has a maximum payload capacity of 771kg. The vehicle has a starting price of $23000 and is powered by a 1.5 dCi diesel which develops a maximum power of 86hp. 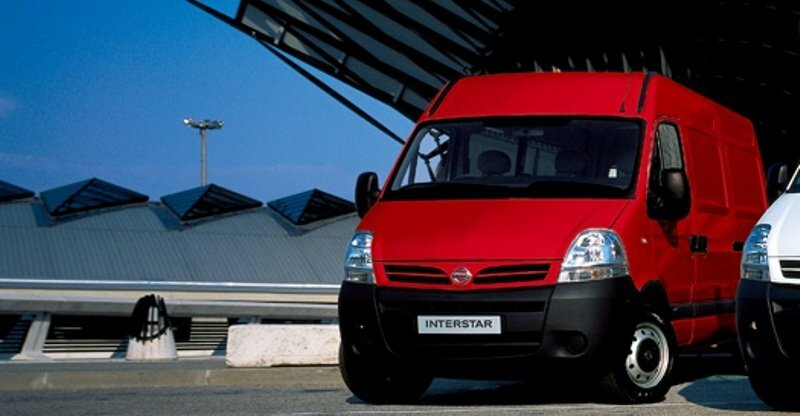 The Nissan Interstar shared the same underpinnings with the previous generations Renault Master and Opel Movano. The vehicle was built since 2003 and it was discontinued in 2011 when it was replaced by the NV400. The old Nissan Interstar was replaced at the perfect time, as its design was starting to show its age, and the technology was also starting to rust. The vehicle however, was seen with good eyes and for its time was a pretty good product which offered a satisfactory cab comfort, numerous wheelbase lengths and different body configurations. The Nissan Interstar was available with a 2.5-litre dCi diesel producing 100hp, 120hp and 150hp. Together with the Cabstar and NV400, the Primastar completes Nissan’s lineup of light commercial vehicles. The vehicle was design together with the Renault Traffic and Opel Vivaro and shares the same design and underpinnings with its two siblings. The Primastar is one of the most versatile models in Nissan’s lineup and is offered with both long or short wheelbase and two roof heights. Under the hood, the Nissan Primastar is equipped with either a 2.0 liter or 2.5 liter diesel engines which develop 115 hp and 146 hp respectively. The vehicle has a payload capacity of up to 1.2 tones and is priced from $25000. The Nissan Patrol chassis cab was built for lightweight duties and features a rugged off road character enhanced by a capable all wheel drive system and the generous ground clearance. With a gross vehicle mass of up to 3400 kg, the vehicle is one of the most versatile chassis cab models available on today’s market and feels like home on any terrain, being able to deal effortless with river crossings, sand dunes or muddy construction sites. 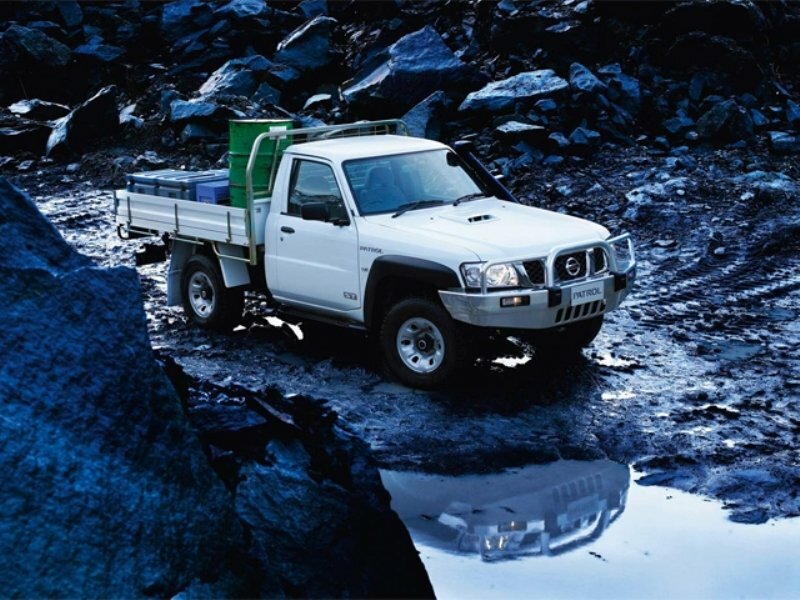 The rear axle of the Nissan Patrol chassis cab can be equipped with either leaf suspensions or with coil springs. Under the hood the vehicle is equipped with a 3.0-litre turbo-diesel engine which has a maximum output of 160hp. The Nissan Patrol chassis cab has a starting price of $50.000 and is available in two trim levels - the DX and the ST. The new Nissan NV 400 van has already been around from some time now and the company has announced that it will also present its new Chassis cab version at the Commercial Vehicle Show in April. 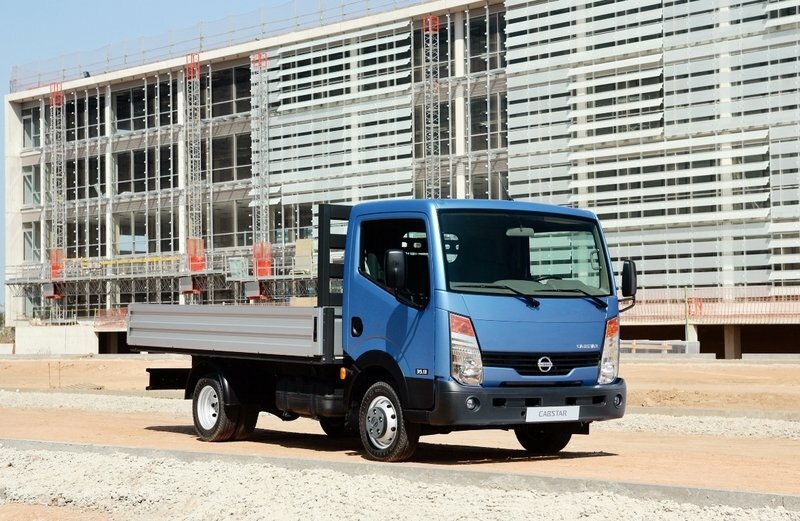 The new Nissan NV400 chassis cab shares a lot of common elements with the Renault Master and will be available in both mid and long wheelbases with either front or rear wheel drive. The NV 400 will come in both single- and double-cab configurations, with a choice of two engine options with maximum outputs of 125hp and 150hp. The new commercial vehicle will also come with a full three year warranty. The Nissan Cabstar was built for delivery duties in the 3.5 tones segment and it’s a rebadged version of the Renault Maxity. The truck is among the most versatile models in its class and is equipped with both 2.5 and 3.0 liter engines. The Nissan Cabstar has a starting price of 19.000 GPB and can be ordered with either a single cab or a double cab featuring a maximum payload capacity of up to 1850 kg. In order to offer the possibility to be used for a wide range of applications the Cabstar chassis is available with 2.5m, 2.9m and 3.4m wheelbases. Double rear wheels are standard on 3.5T GVW versions while the double cabs are available on 2.9m and 3.4m, MWB and LWB versions. The Nissan Cabstar is offered with a three-year/60,000-mile warranty with service intervals set at 18,000 miles. 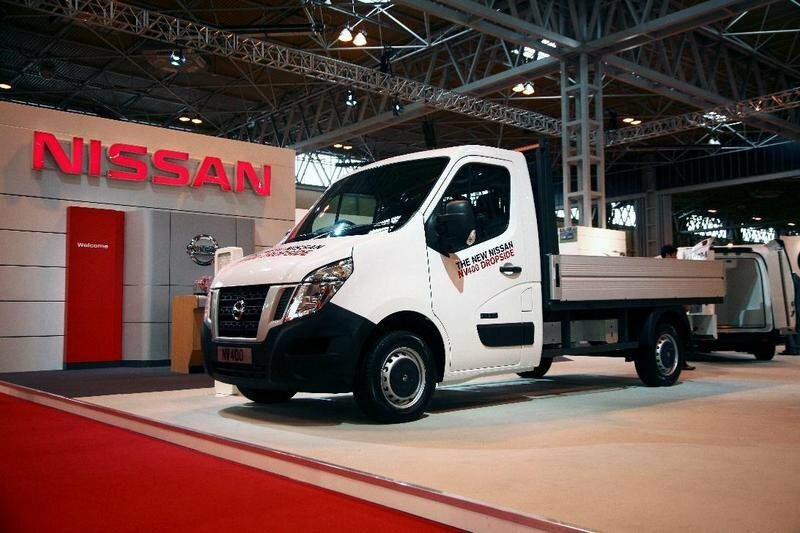 Nissan will present its new NV400 chassis cab range in April at the Commercial Vehicle show. The new Nissan NV400 chassis cab will be available in both mid and long wheelbases with either front or rear wheel drive. The new model shares a lot of features with the Renault Master and it will be offered with a choice of two engine options of 125hp and 150hp and a total of 13 variants to choose from including a single cab and double cab. The factory-built conversions will initially comprise a dropside and tipper which are built on the production line and will be delivered to the operator ready for action.